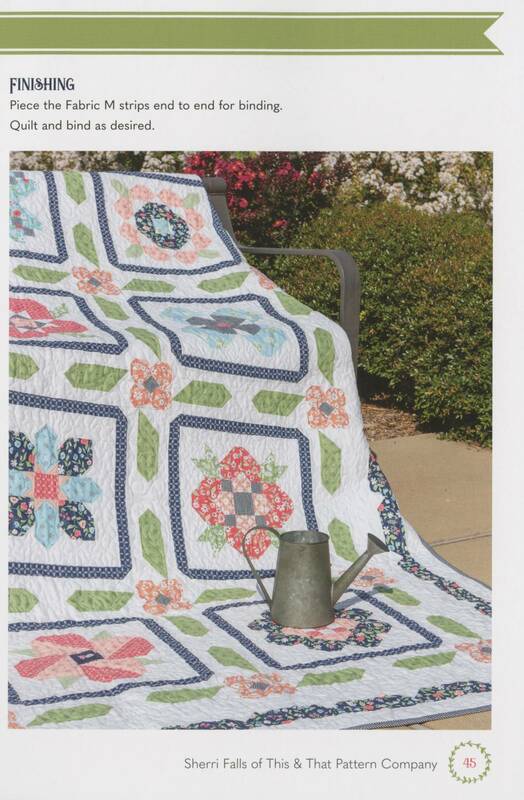 Sherri Falls of This & That Pattern Company created this Garden Sampler book for It's Sew Emma. 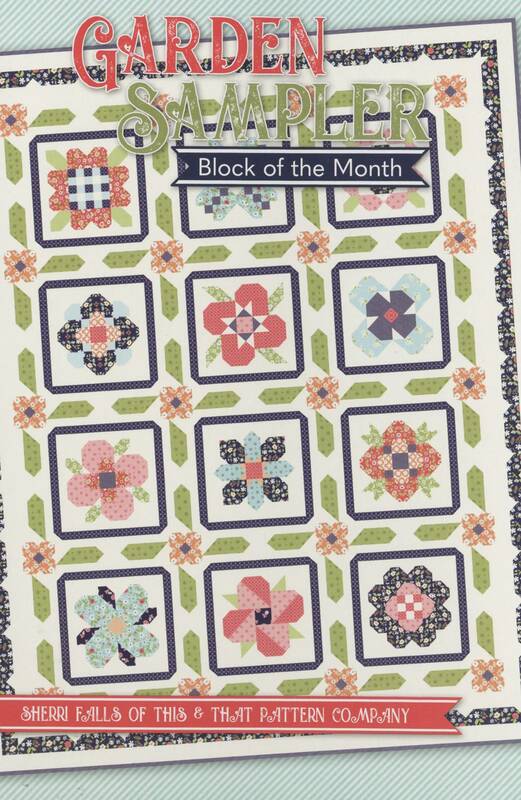 Add a touch of spring to your next quilting project with Sherri's 70-1/2 inch x 88-1/2 inch Garden Sampler 12-month block of the month quilt. 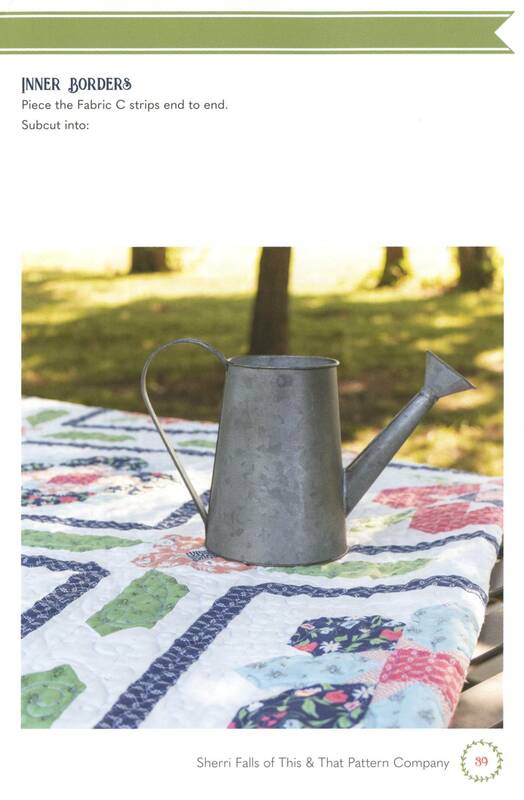 How does your garden grow? 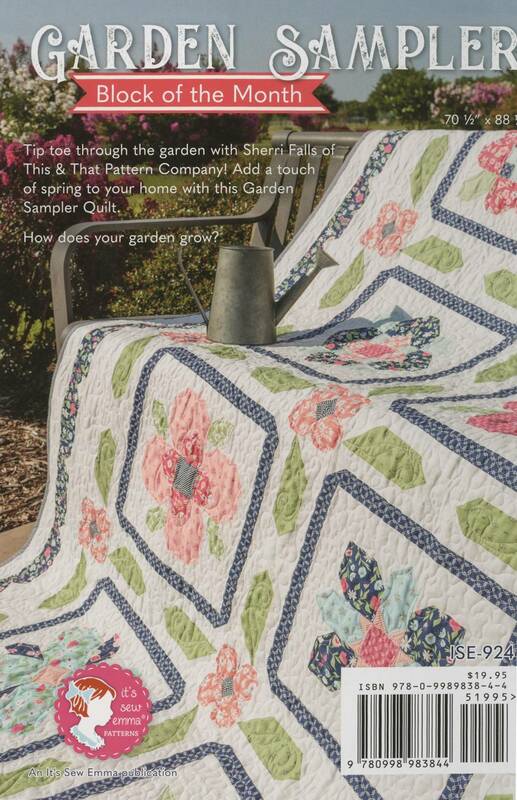 Tip-toe through the garden with Sherri Falls of This & That Pattern Company. 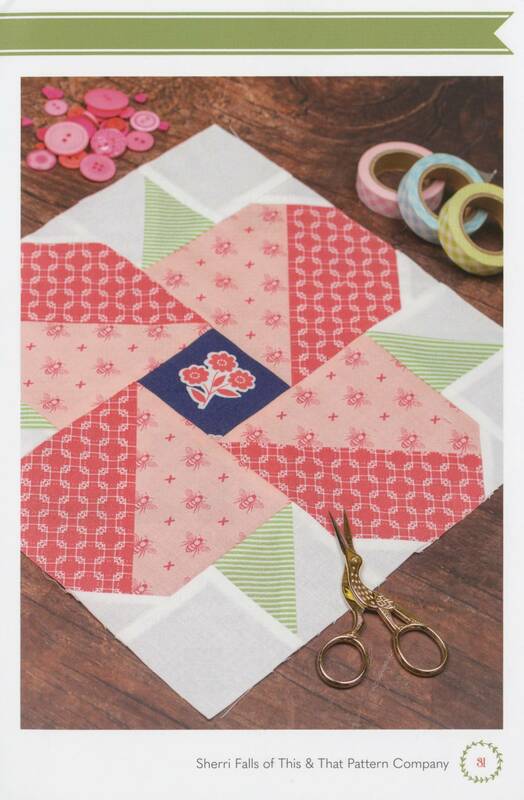 This new garden sampler block of the month pattern book by It's Sew Emma will add a touch of spring to your next quilting project. 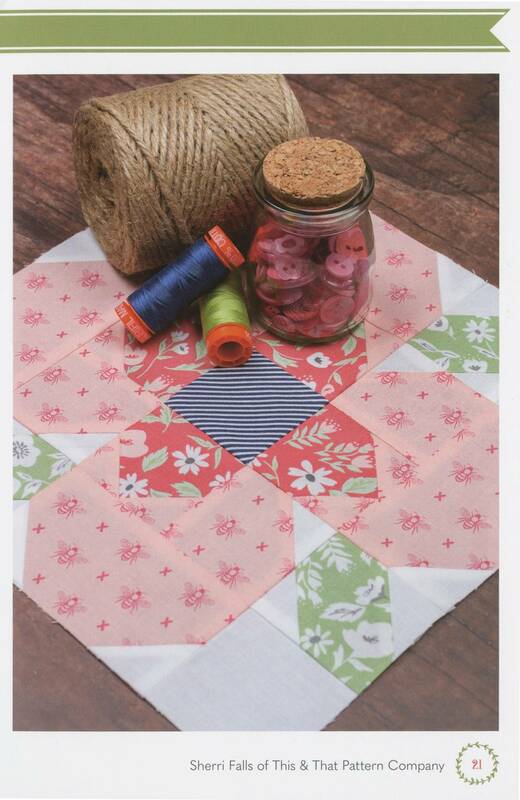 Finished size: 70-1/2 inches x 88-1/2 inches. 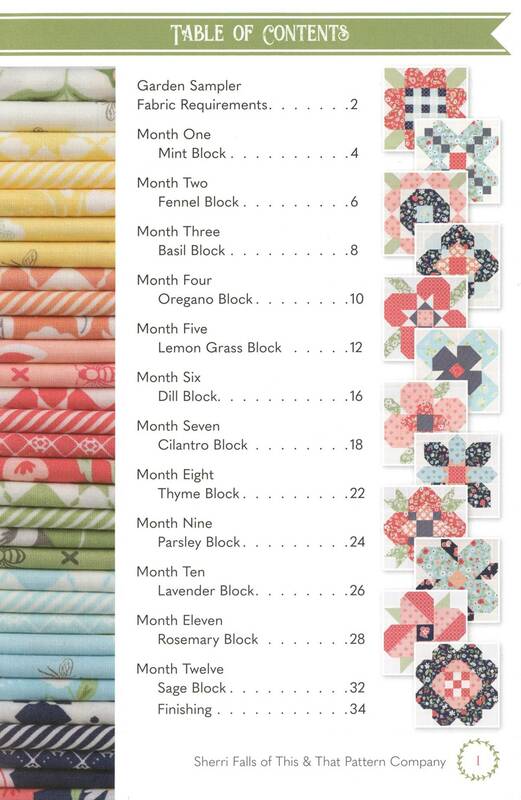 Inside you'll find fabric requirements, detailed instructions and layout for each of the 12 blocks of the month, and finishing instructions. How does your garden grow?